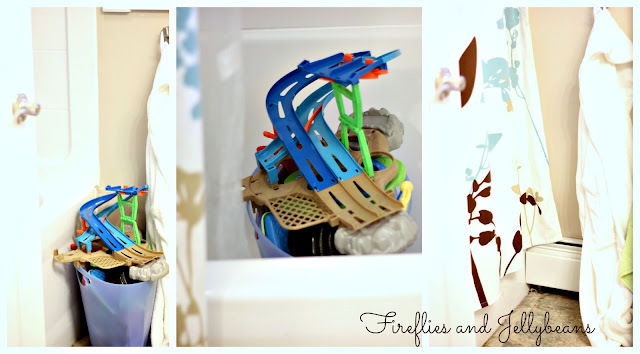 Fireflies and Jellybeans: 5 easy tips to keep the bathroom organized with kids! 5 easy tips to keep the bathroom organized with kids! If you have little kids at home, you know that the bathroom is a spot that gets trashed everyday. 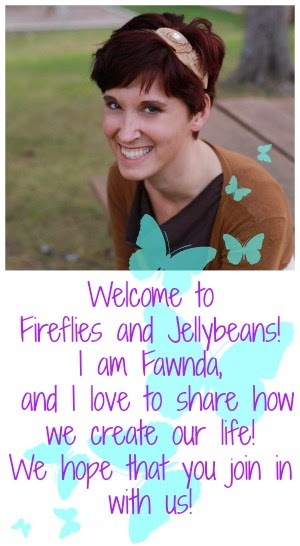 I am here to share a few tips on how we try to keep our bathroom ship-shape with out 3 kiddos. Tip 1: Hang robe hooks low enough for the kids to be able to hang up their towels themselves. We hung ours over our heater so that in the winter it also acts as a towel warmer. 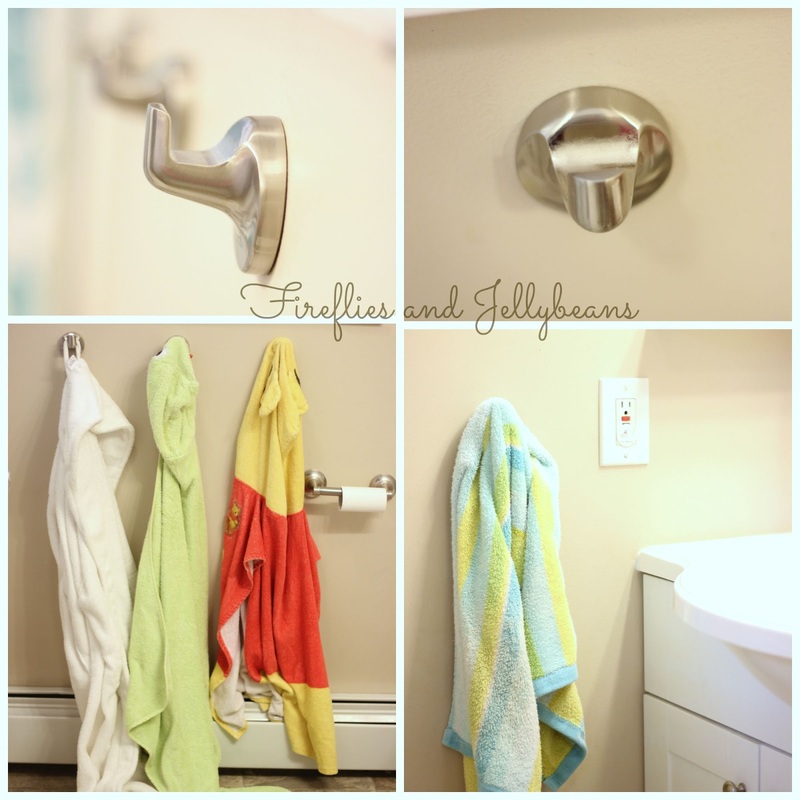 Tip 2: Hang a robe hook low enough for the kids to reach to hang the hand towel. I know from experience that the towel never makes it back on to the towel rod because it was too high and the towel was always on the floor... now, it is on the hook! Tip 3: How to hide the toys. I have a bin that we keep the bath toys in (I believe it was supposed to be a magazine holder). When I have company coming over we take the whole bin and put it in the shower and close the curtain... toys gone! 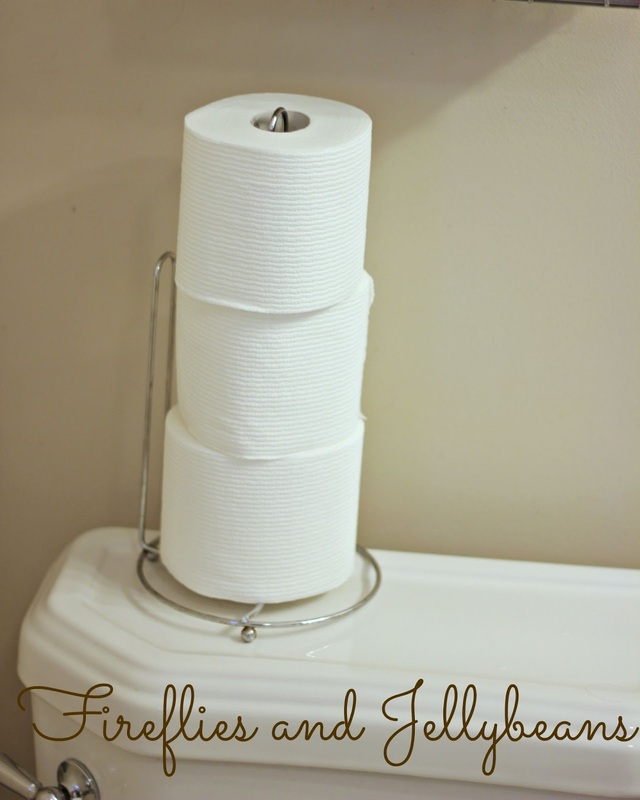 Tip 4: Where to put the extra Toilet Paper. I don't like to keep my extra toilet paper under the sink because it is messy under there and I don't want my guests to have to search for it. So I got a Paper Towel holder and placed it on the back of the toilet and it is a great way to stack the TP. This way I can also see if we need to restock since it is out in the open. I sometimes turn it into a snowman in the winter too. 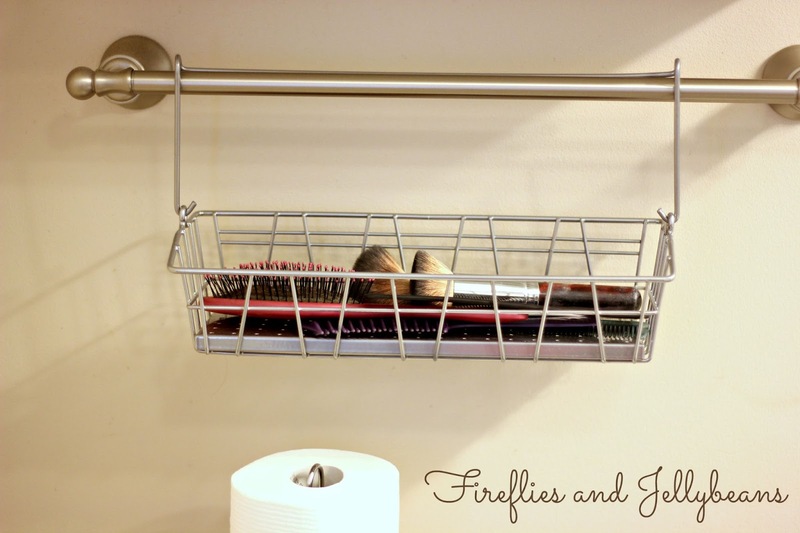 Another kitchen tool turned bathroom hack. I got this hanging basket at Ikea. It is supposed to be used in the kitchen but it also works great in the bathroom to keep all those brushes, combs, make-up brushes up off the sink or toilet. 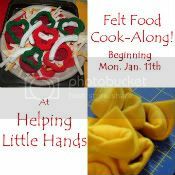 Easy to put in and take out of and the kids can do it too. We hang it on our towel bar. It could also work for bath toys hanging off an extra shower rod - like this. 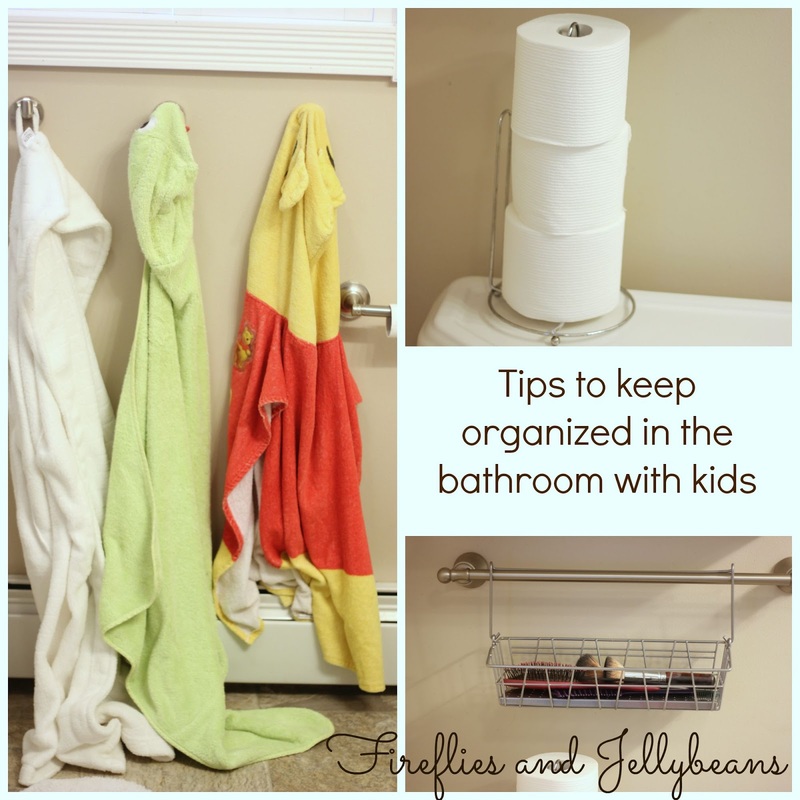 What are some easy ways you keep organized in the bathroom with kids? 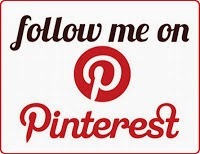 We would love to hear your ideas! It's been so long since I Had kids at home, maybe will try to remember how I got hubs to be tidier in bathroom. I used to be motel maid so am pretty fussy about how a bathroom is left by family member. I was at friends house few years ago when her company came out of bathroom, what a nightmare. It was all I could do not to say, you could at least hang up towels for pete's sake. Who taught them any manners? When I left after 2 1/2 weeks of visiting was proud to have my friend say she'd never seen guest bathroom cleaner and tidier. Why is it so hard for adults to be good company at somebody's house let alone their own home? Hubs got idea right away not to leave things lying where they don't belong when he exits bathroom. Didn't have to say a word, he watched me after I'd showered a few times and he seemed to get message. Gotta love that guy. 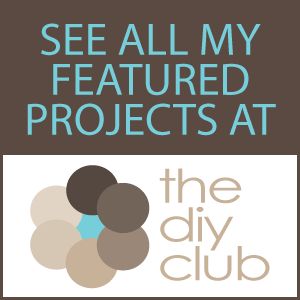 Good ideas you have helping your kids be neater in bathroom. Can remember when my oldest 3 were all young together, they learned pretty quickly and nicely also. Now they'll comment to me about keeping bathroom nice, their wives appreciate how they were taught also. I can remember when oldest son's wife told me those are womens jobs and I asked her where she thought her husband had learned to clean any room? Even when we lived on his own he kept his home nice. Guess I did something right huh? Thank heavens. His girl friend tells me he keeps their home very nice, if shes sick he doesn't sit around waiting for her to do what needs doing. Not patting myself on back, just glad they got ideas and your kids spouses will appreciate your efforts also.